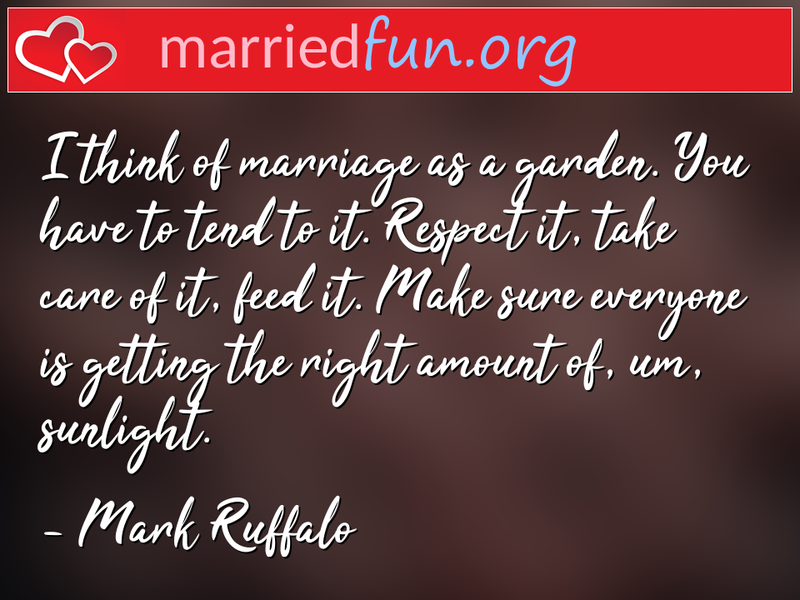 Marriage Quote - I think of marriage as a garden. You have to tend to it. ... - Married Fun!